Timothée Chalamet scored a Golden Globe nomination for Best Supporting Actor. We caught up with him and his Beautiful Boy costars at TIFF. Another 7 wins & 26 nominations. Based on the memoirs Beautiful Boy: A Father's Journey Through His Son's Addiction by David Sheff and Tweak: Growing Up on Methamphetamines by Nic Sheff, written for the screen by Luke Davies and Felix van Groeningen, and directed by van Groeningen in his English language debut, Beautiful Boy is a film about the horrors of addiction, told from the perspective of both an addict and his father. Focusing primarily on David's attempts to understand and fight against his son's addiction to crystal meth, the film aims for a no frills sans-sentimental authenticity (Davies is himself a former heroin addict, who based Candy: A Novel of Love and Addiction on his experiences). Serving as something of a showcase for the two lead actors, (Steve Carell and Timothée Chalamet, both of whom are exceptional), there's little in the way of plot, with the film instead adopting a non-linear cyclical structure designed to mirror the repetitive nature of addiction-rehab-relapse-addiction-rehab etc. And whilst it is certainly heartfelt and respectfully told, there's little in the way of emotional engagement. So although it may have an inherent degree of authenticity that's to be applauded, as drama, it isn't especially compelling. Living in Marin County, Nic Sheff (Chalamet) is an intelligent, popular, and kind teenager, who has a close relationship with his father, David (Carell), his stepmother Karen (Maura Tierney), and his two younger half-siblings, Jasper (Christian Convery) and Daisy (Oakley Bull). He is less close to his birthmother Vicki (Amy Ryan), who moved to LA after she and David divorced. David is a journalist for the New York Times, and Karen is a painter, with the family enjoying a comfortable bohemian middle-class existence. The film begins as David attends the offices of a drug counsellor and psychologist, Dr. Brown (Timothy Hutton). Explaining that Nic has become addicted to crystal meth, he wants to learn everything he can about the drug in order to best help his son. The most notable aspect of Beautiful Boy is the structure, which is both cyclical and non-linear - the film is made up of a series of high and lows following Nic and David through relapse and recovery, whilst at the same time, there are multiple flashbacks, with scenes in the present giving characters occasion to think about moments from the past. For example, as David sits in a diner waiting for Nic to arrive, he thinks back to a much happier meal he had with his son in that same diner many years previously. This technique is used throughout the film, often flashing back to happier memories of Nic's childhood. The problem with this is that it's overused; there's barely a scene that doesn't have some kind of temporal cutaway. This overuse also dulls the impact of such editing, as after 45 minutes, you're just yearning for the film to stay put for a while. As regards the repetitive nature of the story, I understand what van Groeningen was going for - it is supposed to mirror the back and forth nature of addiction ("relapse is part of rehab" as David is told), a two steps forward, one step back staccato motion. However, the film falls into a pattern of Nic showing up looking a little more dishevelled than he did before, followed by David doing everything he can to help, followed by his failure to get through to Nic, followed by Nic disappearing, followed by Nic showing up looking a little more dishevelled than he did before, etc. And whilst this may lend itself to a certain authenticity, it doesn't make for very effective drama. In any case, other filmmakers have found ways to depict the repetitive nature of addiction without compromising the story, not the least of whom would be Darren Aronofsky in Requiem for a Dream (2000), who constantly uses a quick montage of the characters doing drugs to suggest the habitual nature of addiction. A major theme is that of the father-son relationship, and this is well-presented. With both actors giving superb performances, one really sees the bond between the two, and how much Nic's addiction is destroying both of them. In this sense, the real tragedy of his situation isn't the rehabs and relapses, it's seeing him drift further and further away from a man who would literally die to protect him. Given the source material, one does wonder a little if the relationship is idealised somewhat, but irrespective of that, Carell and Chalamet give a masterclass in acting. With lesser performances, the film would have crumbled under the weight of van Groeningen's heavy-handed direction. Thankfully the performances are strong enough that the style distracts rather than undermines. That said, the benefit of the non-linear storytelling is that it allows Chalamet and Carell to really drive home how much their relationship changes, with their playful and happy earlier scenes contrasting heart-breakingly with the fraught and destructive times of later years. 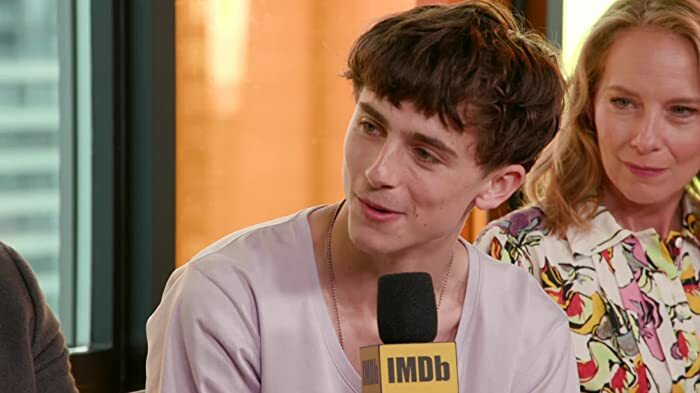 Chalamet's is the more physical of the two performances, conveying so much via his body language as he completely inhabits the character, alternating between playing Nic as a sweet, loving, almost immature teenager, and a stressed addict, old before his years, and capable of anything to get money for his next hit. 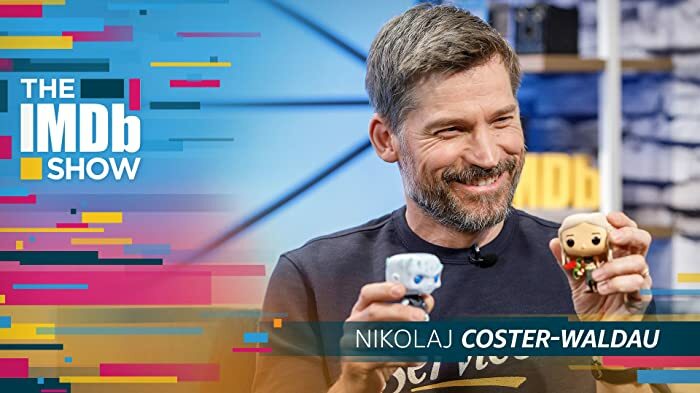 When he is rehabbing, there's a regret and humility in his performance that is nowhere to be seen when he relapses, as he becomes more manic and unpredictable, and much less self-aware. Carell, for his part, does most of his best work with his eyes, conveying the sadness and desperation he feels. His helplessness is written across his face, conveying how little he can actually do for his son. He initially approaches the problem in a logical manner (he does methodical research on crystal meth to better understand it, he snorts cocaine to try to put himself in Nic's shoes), before eventually realising there is no logic at play here, and tackling the subject as he would an article for the New York Times is not going to work. Carell plays David as confused, haunted, and desperate, with Nic's addiction having as profound a psychological effect on David as it has a physical effect on Nic. Despite all of these positives, however, as indicated above, there are some significant problems. For one, van Groeningen chooses not to present some of the darker aspects of Nic's story. For example, he turned to prostitution at one point to fund his addiction. Additionally, as his hits from crystal meth continued to diminish over time, he started shooting it up, which is insanely dangerous. Leaving out aspects such as this gives the film a kind of sanitised feeling, as if we're looking at addiction through a gauze which the director refuses to pull back to let us see it directly. This kind of heart-breaking sordid detail would have helped the film immeasurably, especially in relation to its lack of emotional engagement. This lack is probably the most egregious problem. A film of this nature, detailing something like this, and based on a true story, should be an emotional rollercoaster, but the audience is always removed, the emotions are seen rather than experienced, as if we're looking at the rollercoaster instead of riding it. Because the film introduces us to the characters mid-crisis, and because there's literally not a single scene that isn't either related to Nic's addiction, or a flashback from a scene related to his addiction, we never really get to know David or Nic outside this situation. Any sense we have of them as people comes almost entirely from the acting, and even then, although you certainly feel empathy and sympathy for them, you don't feel a huge amount else. This dearth of characterisation is even more pronounced in relation to the two women, who may as well not be there. Karen has nothing to do but wander around in the background painting trees, whilst Vicki doesn't even get that much - she's a disembodied voice on the phone most of the time, and although I know she appeared in a couple of scenes, by the next day, I'd forgotten what she did in either of them. It's a real waste of two extremely talented performers. There have been some truly great films about addiction; The Man with the Golden Gun (1974), Days of Wine and Roses (1962), The Panic in Needle Park (1971), Drugstore Cowboy (1989), Trainspotting (1996), Leaving Las Vegas (1995), The Basketball Diaries (1995), Requiem for a Dream. Beautiful Boy is absolutely nowhere near anything of this calibre. In fact, it's probably more successful as a kind of instructional installation for relatives of people going through addiction than it is as a film evoking emotions. Told from the perspective of people living through this nightmare, the story is incredibly straightforward and forgettable, when it should be shocking, disturbing, and emotionally devastating. And whilst the film is definitely heartfelt, its lack of emotional engagement, its repetitiveness, its distracting structure, its lack of a plot, all serve to grate against the incredible performances. Felix Van Groeningen's English-language feature debut. In the opening scene, the father describes Nic's hair as "shoulder-length." In fact, it doesn't even cover his ears. During the end credits, Nic is heard reciting the poem "Let It Enfold You" by Charles Bukowski.